I am so thrilled to be able to share with you the first ever contributor post I have had here on Bless the Weather, in eight years of blogging. I really want to begin to use this space more to share a wide range of thoughts on subjects I care deeply about, to introduce you to people you may not have discovered yet who can share more about these topics with you, and also to give a spotlight to anything and anyone that I love that I think would be interesting to you. Thanks so much to Siobhan for having me on her blog today – it feels like popping into a neighbours online – we have loads in common and it’s a pleasure to get to share here. Let me tell you a little about myself…I’m Mel, married to Dave, mama to two rascally beautiful kiddos (Levi, 6 and Ada, 1) and together we live in Northern Ireland – a place equally complex as it is beautiful. I have a bit of an activist spirit, having spent more than a decade working on various development and human rights issues and currently managing a project preventing trafficking and exploitation. I also write on my blog, host gatherings for creative women and create online courses for thoughtful, down-to-earth people who want to do some good in the world. Learning to live a more ethical, eco-friendly life should be easier now than ever. We have access to so much information and choice – but the problem is that we’re often too busy and overwhelmed to feel like we can make it happen. I wanted to share with you 10 simple things you can do right now to help your family connect to the world and do some good. It may sound like a no-brainer, but the more that you involve your kids in ethical/eco living the easier and more normal it will become for your family to live this way. If your kids grow up helping you look for fairtrade labels, watering the vegetables in the garden, helping you making your own laundry detergent – they will see this as the normal path for families. Kids LOVE to help, and research shows that exposing them to these important issues in small ways provides long-lasting learning that will help to shape their moral compass as they develop. Have a think about who makes all the every day things that you use around the house? Ask your kids if they have ever thought about who made our vacuum cleaner or our shoes? It’s easy to forget the people and the processes that go into making our every day items but there are stories behind them all and ways for us as consumers to make sure that our purchases aren’t contributing to the exploitation of people or the planet. A little research, a few extra minutes googling the ethics of brands before buying that next pair of pajamas or that new kettle could make a big difference. Don’t be afraid to ask questions if you can’t find the information you need – you are the consumer, you spend the money, you have the right to know. The more stuff we have, the more we have to take care of it. When it comes to kids stuff, there is a real temptation to buy ‘all of the things’ to entertain them or dress them nicely. 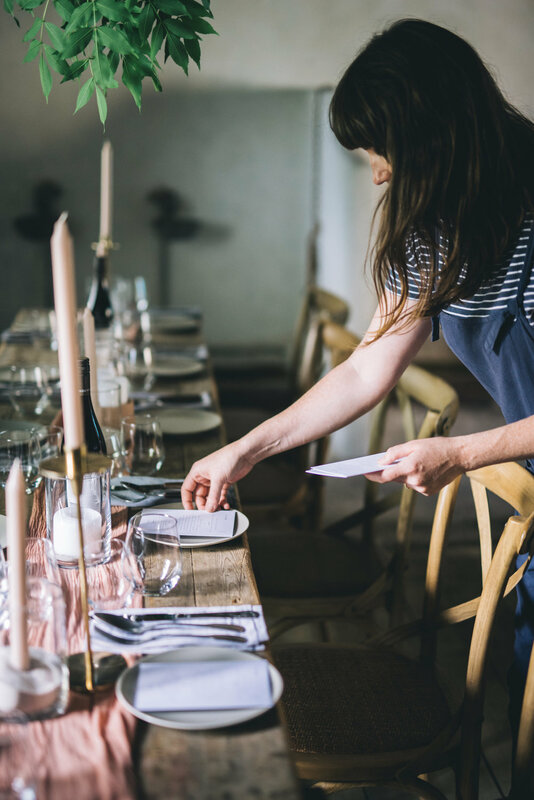 The reality is that we soon become a slave to those things – constantly wasting time tidying up, keeping things clean and for so many kids, having too much stuff can over stimulate them and foster a sense of entitlement. We need so much less than we think we do, and donating stuff to charity that just doesn’t serve you is a great way to help children connect to life outside of their family bubble. Maybe ask them to pick 5 toys or books they don’t play with anymore to bring to the charity shop so they can help other people. Single use plastic is killing our natural world. It never goes away – ever. If we want to reduce our footprint on the environment a good place to start is to try to buy your groceries in places where single use plastic isn’t necessary, like farmers markets or green grocers. You can even make or buy some reuseable drawstring bags to bring with you when you go to separate your items. What I have found is that for every instance where it is easy to buy plastic (e.g. party plates for a child birthday), it only takes a tiny bit more effort to find a better more earth-friendly alternative online (bamboo plates that decompose). It takes loads of energy for our water and heating systems to work in the western world and the energy it takes create a lot of greenhouse gasses (5% of greenhouse gasses in the UK come from heating up water) and damage the atmosphere. When we use excess amounts of water we are also taking away from an already stretched resource (needed for agriculture, food production, reservoirs etc) even here in the UK. Why not set a timer on your phone for yourself and your kids to have quick 2 minute showers? Make it competitive! Who can shower fastest? Or how about reducing your flushing? (if it’s yellow, let it mellow and all that…) You can also decide to delay putting the heating on in the Autumn and encourage your family to wear an extra layer or to cuddle up with candles and blankets! 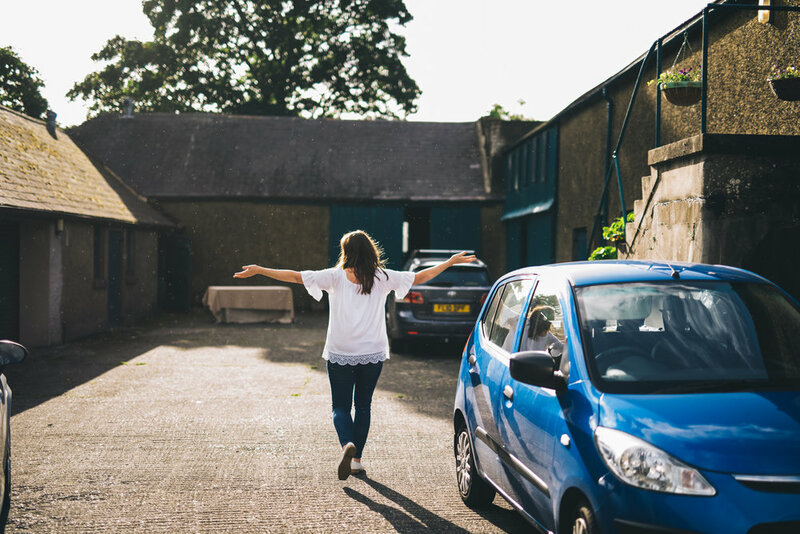 If you’re a city dweller, this might not be relevant but for those of us in sprawling suburbia, there is a temptation to hop in the car for every small errand or meeting. Cycling or walking is not only much better for the environment and your wallet but for your mental health as well. Kids that walk to school are proven to be more alert and ready to learn. See if you can try and make some space for walking or cycling those shorter journeys or even try to car pool or do combination journeys with your kids where you drive half way to school and walk/cycle/scoot the rest. You don’t have to have an allotment or a massive garden to be able to introduce your kids to growing your own food. You can grow all kinds of salad ingredients in pots on a window sill, balcony or doorstep. Rocket, spring onions, radishes and herbs are all great for starters. So many children grow up never understanding the cycle of food production and it can be a real magical experience for them to get involved and get their hands dirty in the planting, watering, tending to and watching things grow. There’s something very satisfying in sitting down at the table together with a little bit of food that you’ve helped to grow yourself. Using the seasons as a guide to our eating is a really healthy and eco-friendly way to up your green game. It is kinder on our bodies – eating food that is grown naturally in the appropriate seasons usually means less chemicals and preservatives used to keep it fresh and you can bet that when you eat food that is seasonal and local it will have stacks more flavour. When we eat seasonally and maybe more importantly locally, we not only supporting the local economy but are supporting the care of our environment. It takes less energy to grow and move around the food we eat if we stick to eating food that is seasonal and local. One of the greatest ways that we can connect our kids to life outside our family bubble is by helping them find a cause they feel passionately about. It might be endangered animals, it might be a charity that provides clean water, it might be looking at how children are treated fairly around the world or sponsoring a child. We can help our kids look at things differently, become aware of their privilege and realise their potential to make a difference and be a force for good. You may have to lead on this depending on the age of your child/ren, but it’s so worth exploring and feeding your child’s interest on a particular issue. Get them books from the library on the topic, let them watch appropriate movies or documentaries and help them find easy ways to do something about it. Developing this kind of global empathy in a child is nothing short of life changing. Our throwaway culture has gotten out of control. If something is broken, we bin it and buy again creating so much landfill waste and unnecessary financial burdens - but it doesn’t have to be that way. The culture of borrowing and fixing our possessions has faded and needs resurgence. I love the idea of borrowing – the exchange, the dependency on one another that it creates. For some reason we have become afraid of asking, too worried about being seen to be needy or not self-sufficient. Generations before us were so much better about this and it greatly contributed to more close-knit communities and neighbourhoods. Next time you need something big, why not use the power of social media to see if you can borrow it or offer a skill swap to someone you know could help you. These 10 things are great starting points for families who want to reduce their impact and be more conscious about how they do things in the midst of the chaos that a family life can bring. 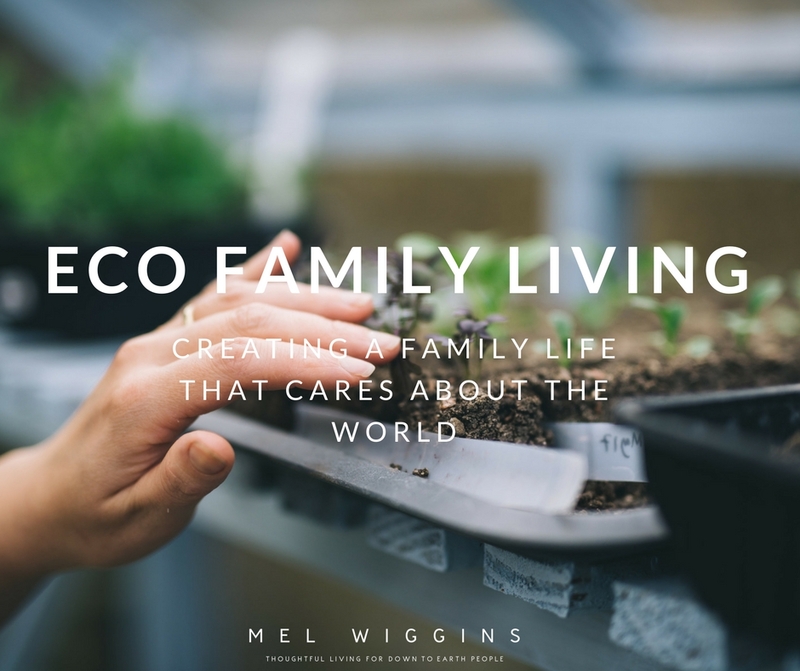 If this has resonated with you or made you think more about how to implement these things into your daily family rhythms then I’d love you to join my brand new ‘Eco Family Living’ online course running throughout September. It’s 30 days of content, tips, hacks, family challenges and video streams on how to do family life more connected to the world. And you can join with other people doing the course in a closed facebook group to share and get support from me. It’s going to be pretty special. Family life is busy. I know that. Trying to be more ethical feels overwhelming. I know that too. That’s why I’ve condensed the information for you so you don’t have to search for it yourself! It’s all there – ready for you to work through at your own pace. Normally the course is £25 (less than a pound a day!) but for two days only Bless the Weather readers can have it for £20. Just use the code ‘BLESSTHEWEATHER’ at the checkout and don’t wait around – places are going fast! Click here to book your place on the course. A more connected, simplified family life is possible – let’s do this.